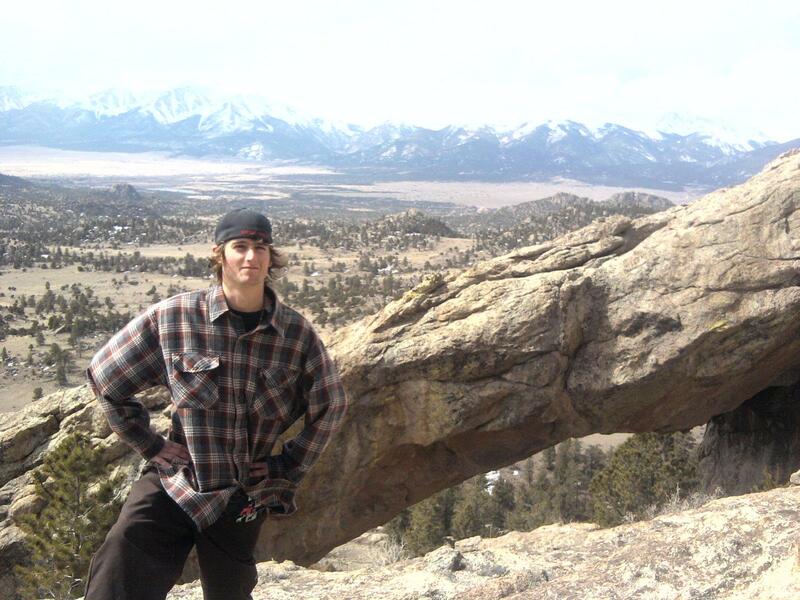 This was a hike Kade went on in Buena Vista, spring of 2012. He went with his dad, Amy, and Autumn. Autumn took this stunning picture. 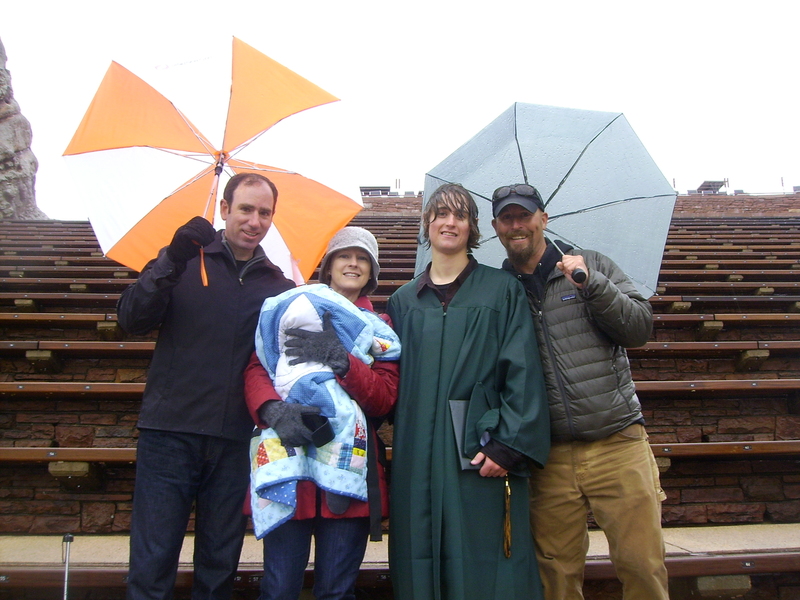 Mountain Vista HS class of 2011 graduation at Red Rocks Amphitheater. Neither rain nor snow nor freezing temps nor lightning could keep us from the proud occasion. 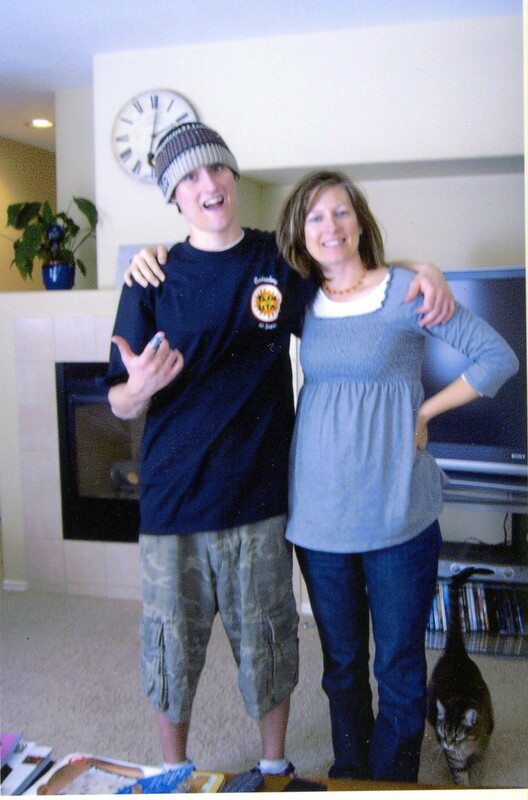 Christmas 2010, I believe. Opening a flannel from Grandma Smith. 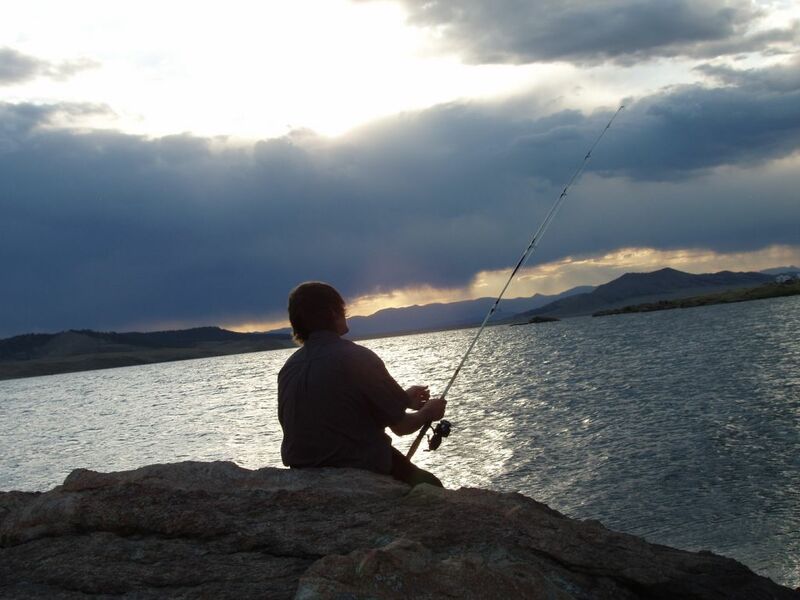 Fishing at Eleven Mile Reservoir with Grandpa Gibson. Happy to be home on a visit. I was expecting Kade’s little bro, Asher, 2010. And our beloved cat, Nermal, nearly always around her people. 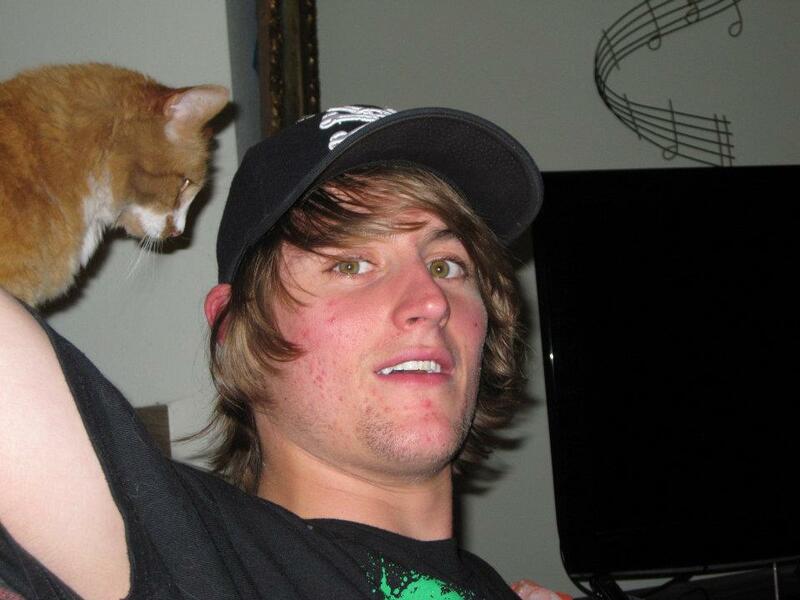 RIP Kade and Nermal. Kade’s rookie guide class, 2012. 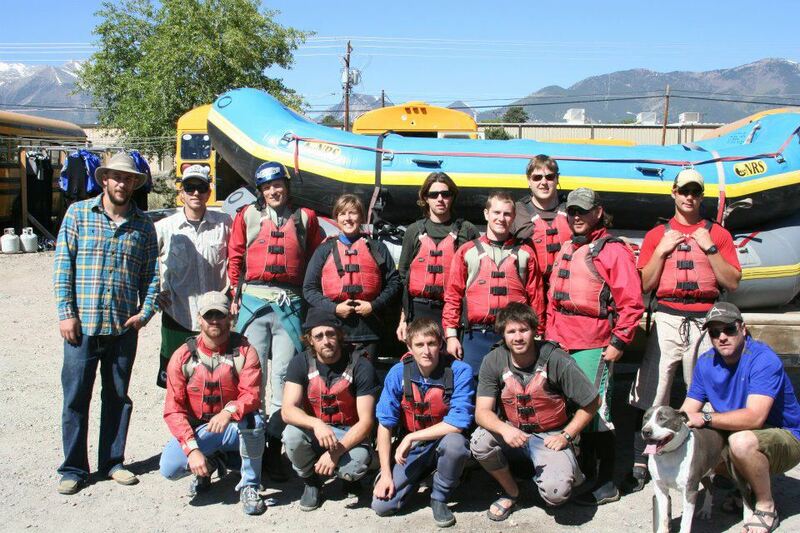 Buffalo Joe’s Whitewater Rafting Company, Buena Vista, CO. Kade front and center. Hobbes, Kade’s cat since he was two or three, and Kade. Kade’s eyes look green in this picture. Usually they looked light brown to me. I love to see these pictures. 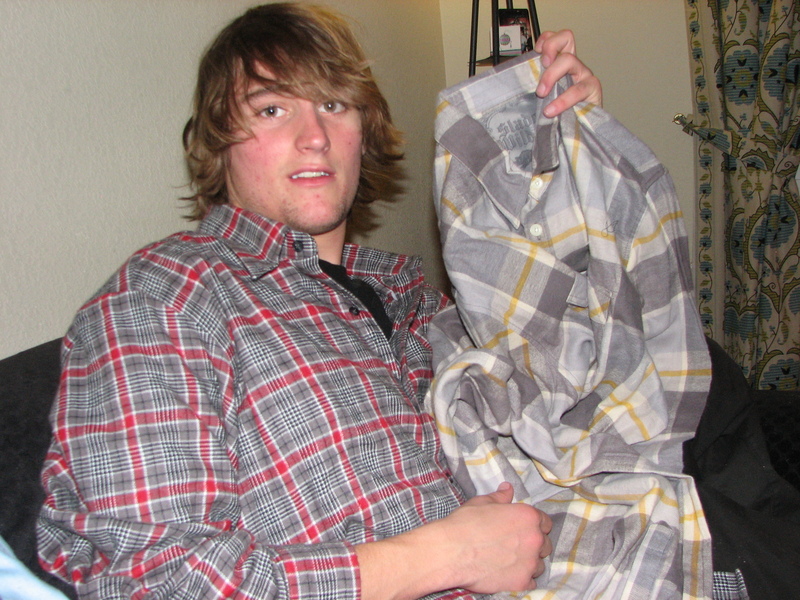 I remember scouring the department stores for the flannels I wanted for Kade. I really wanted to find one with yellow in it, I think I only found the one in the picture above. Always got extra large to allow for shrinkage and the appropriate bagginess. I can still see Kade walking away with a big fleece lined jacket which I think we got him too. Doesn’t matter. My memory has been known to fail me! However, I do try to bring up memories of Kade that I haven’t thought of much. I did that with Grandpa Bieri, and it was surprising what I could remember when I tried. I have to be in the right state of mind to do it though, sometimes it’s just too hard to go there. What a handsome boy. He looks like such a good kid, a happy and loved kid.